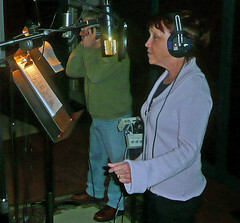 Judy Rodman - All Things Vocal Blog: Should You Do Your Own Background Vocals? What is your realistic total budget? No matter what type of background vocals would be best, you should never scrimp on studio time for lead vocals to have enough budget left for bgvs. How fast can you be good enough in your vocal performance? Do you have enough vocal ability, ear training and studio experience to not cost yourself more studio time than it would cost to hire another singer? Is your overall producer also great at producing vocals or is a vocal producer specialist included on your team who can help you both with the quality of your vocals and with your choice of harmony parts and vocal arrangements? Understand that veteran session singers can really add uniqueness and creativity to bgv arrangements. How much is that worth to your project? Would it be worth paying a little more studio time to get some on-the-spot practical training and experience to creating and singing your own background vocals? Consider working your bgv arrangements out in pre-production vocal lessons. After your leads are done, bring the rough tracks with the leads to your background vocal-strategy lesson. Or, if you pick up parts very well, just create the arrangements right on the session (called doing 'head charts') with the help and suggestions of your vocal producer. What to listeners to the type, lyrical content or genre of a particular song prefer to hear? This will determine the texture, tightness and tone you want in backing vocals. For instance, many gospel-flavored or rock genres of songs tend to be enhanced by the sound of multiple background singers. I often hire three or more singers for this type of music. If a choir texture is called for, I hire as many as six or eight singers and have them do multiple tracks, sometimes having singers switch parts for the sound of an even larger choir. Some jazz, pop and country songs sometimes are better served with one harmony voice that can trace the lead voice like a thin film. Sometimes the artist who is a studio veteran can do that best. What background sound would add most authentically to the emotion in the lyric? Would a rich background vocal blanket or cushion add that special magic to take the heart of the listener over the edge? 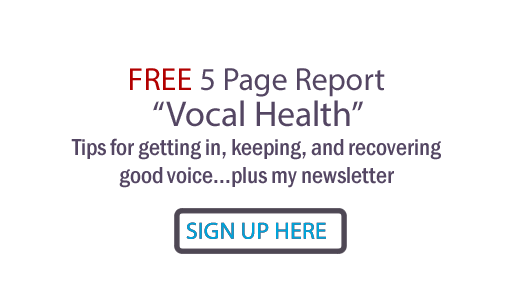 You will get a richer, thicker vocal ambience with multiple voices. Or are the lyrics so intimate that it detracts from the story and the emotion to add thick background vocals (bgv) or to rich a sound? Consider one bgv, maybe do it yourself, or don't put any bgvs on it at all. I sang almost all my own background vocals when I was an MTM Records artist, because I was already a seriously experienced session singer before my solo career. However, for a few songs, we added the flavor of background singers like Janis Ian, Thom Skyler, Pam Rose and Mary Ann Kennedy. Their voices really added to the richness of the albums. We're working a few of those hits up to include in the new songs of my new band Judy Rodman and 6Play. I have to tell you, I really think having our guitar player Eric Normand and backing vocalist Jennifer O'Brien on bgvs really adds a texture that adds to the emotional reach of those songs. That's why we chose to have all three of us on our first 6Play recording instead of just me. I, as well as Thom Flora and lots of my other pro session singing friends still do a lot of bgvs for others where we are the only singer, covering all the parts. This saves money for the client, and each of us makes sure the sound is as rich as possible. However, we do understand that if it's in the budget, there are some textures for which you need more than one background singer. Sometimes not all of the group sing on all the songs. The best way to decide is to consider each song on its own merit.... what does it need? Sing your own bgvs or book background singers accordingly. Wondering... What do you do about background vocals on your projects? Leave a comment to join the conversation!